Has anyone still active done a cluster swap? I am looking for pictures and info from an active member(or a good link to the info) who has done a cluster swap. If you have done one what cluster did you use and why? My Accord cluster has been out of the car since April and now is as good a time as any for me to attempt a cluster swap. I have considered the 98-02 accord cluster because I had a 6th gen and I liked the cluster in it but I would have to send it out to get the mileage programmed to keep my mileage accurate. Any thoughts? 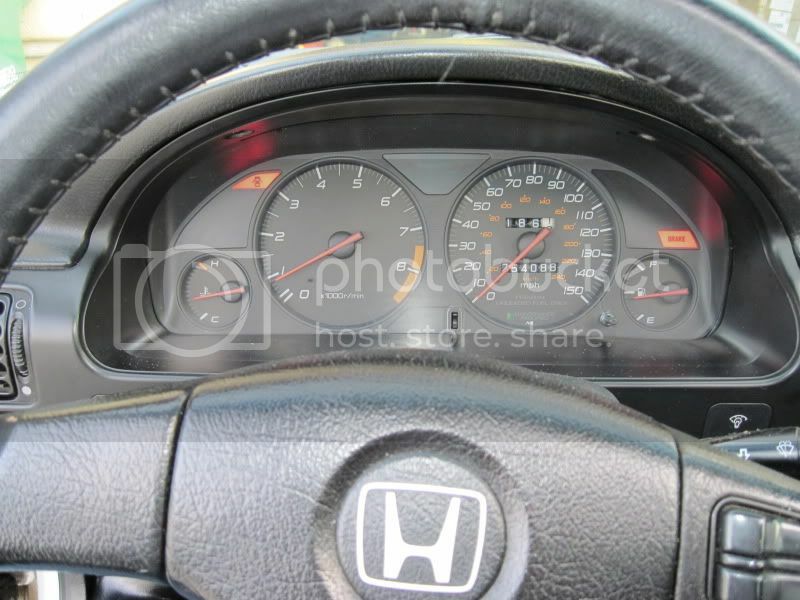 Both the '98-'02 Accord and '97-'01 Prelude clusters have been swapped into these cars, with the Prelude cluster being FAR more common and successful. There were only a couple people I can remember doing the Accord cluster and there were some issues that lingered for a while. They could have ultimately been resolved, but I am not sure. There's even a DIY guide on here for the Prelude cluster. I saw this tread yesterday, I was hoping for a little more feedback on why certain clusters were chosen over others, thanks for responding. I guess opinions don't matter much now anyway, I bought a 98 accord cluster yesterday and as soon as I get a chance I am going to buy pigtails and get to work wiring it in, thanks guys. 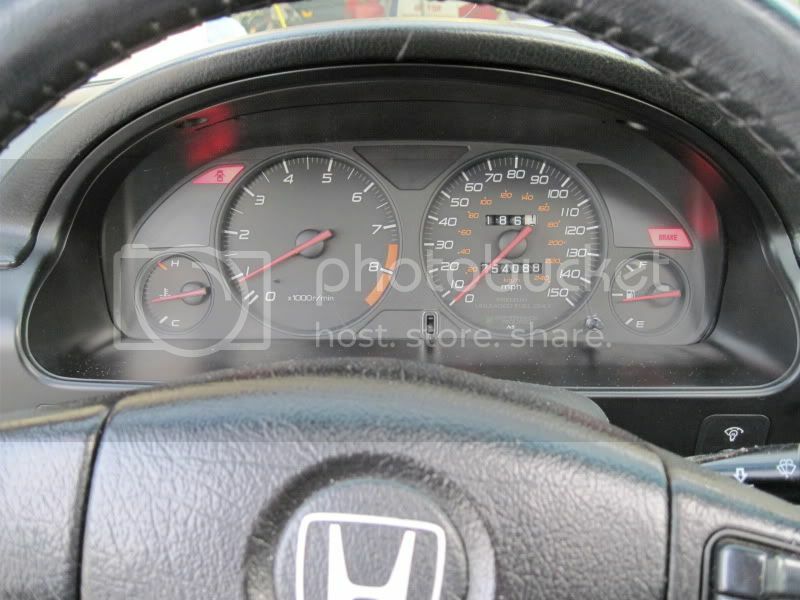 I settled on the 98 accord cluster, I am only really looking to get the basics of the cluster working, I dont mind if the gear selector or door indicator and things of that nature don't work, this car is no longer my daily driver. You'll need the manuals for both cars to see the wiring diagrams and colors, etc. Can't say I've seen anyone do 98+ accord cluster swap, just prelude. If you look in my signature here you'll see I have the CB manuals up on Google Drive feel free to download them if you need our schematic. They are pretty detailed in what it is you need for what you are trying to swap. I saw a few attempts when I did a search, looks like alot of cutting and wiring but I will try it. Why did you go back to stock? My cluster stopped working so I am looking to replace or swap it. Not an option for me unless I buy another stock cluster, mine doesn't work. Thanks for the info, I am going to need all the help I can get. Ya, why did you go back to stock? didnt fit right, plus i like the oem clean look. I swapped my 1998-2001 Prelude cluster in and still love it. Pics of the new cluster. Dome and "door ajar" light work as intended. It is nice to finally have this project buttoned up. Why did you pick that one? Was it easy to install? 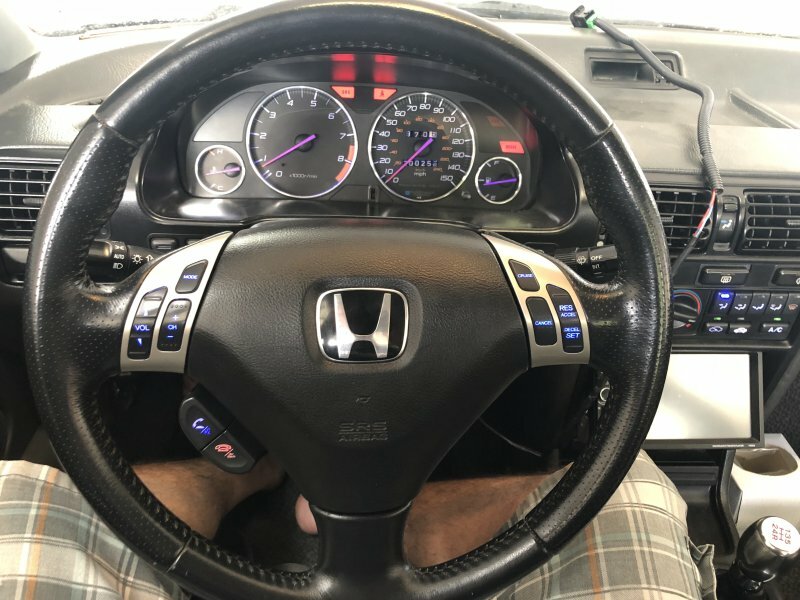 I want to say I recall someone attempting to swap an s2000 cluster on here(not sure if successful or not) a while back but it could have been in another forum, I'm barely ever on here. Seems to me it's really only worth it if you are willing to fab up the enclosure and what-not to make it really clean. Not to mention getting everything to work right. Its probably good that you are sticking with something a lot closer to the original design of our cars. Anyway, good luck and I hope it turns out well! 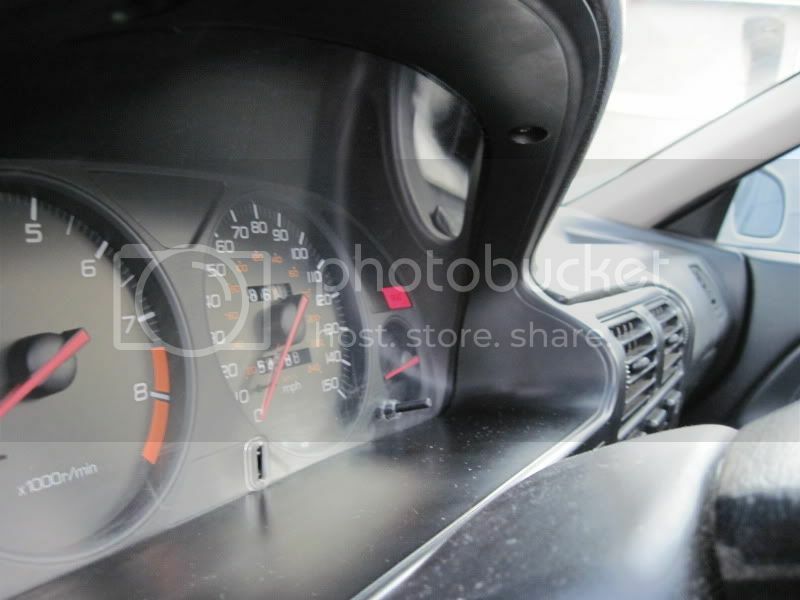 I’m all about the (bb6) Prelude cluster too. Best looks, best fonts for the numbers, illuminating needles plus it’s ready for a future H22. Can’t go wrong with this option. 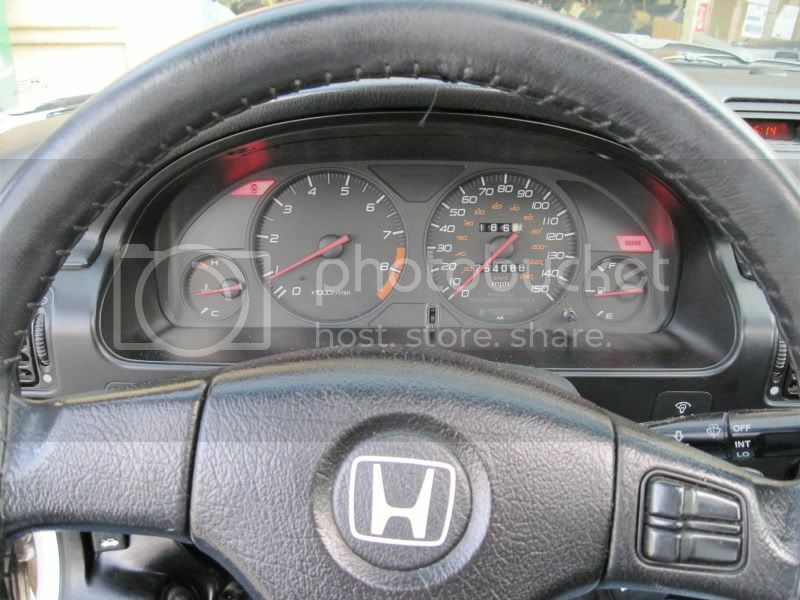 That lude cluster looks like it belongs in the car! 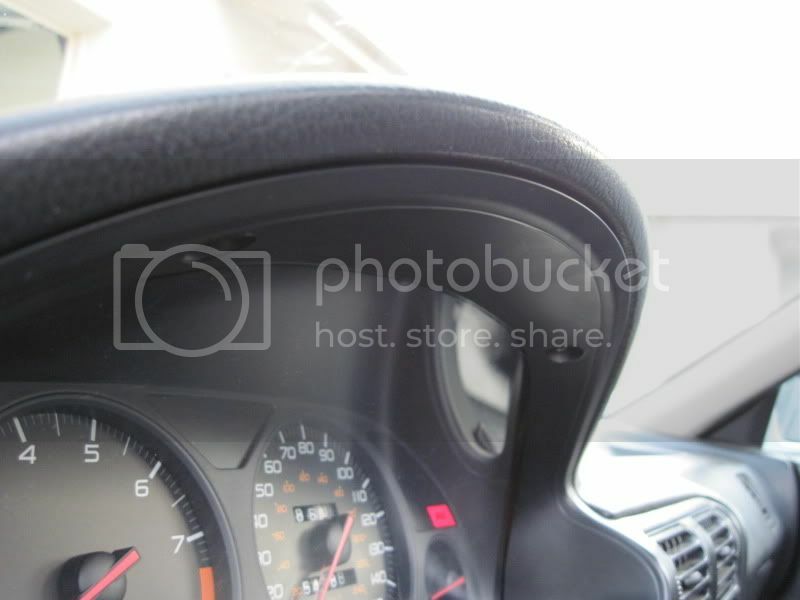 On a side note, if you don't mind, what steering wheel is that? It looks great, but was it a pain in the gootch to do the electrical for it? Read my member ride thread. Good info. Did you have to cut the cluster to make it fit? 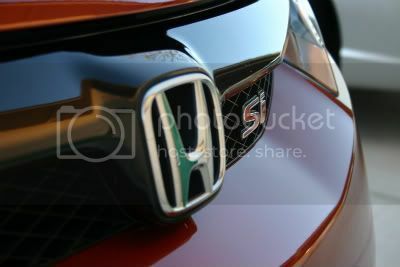 I still don't have pigtails and still might buy the bb6 cluster instead of the accord one. 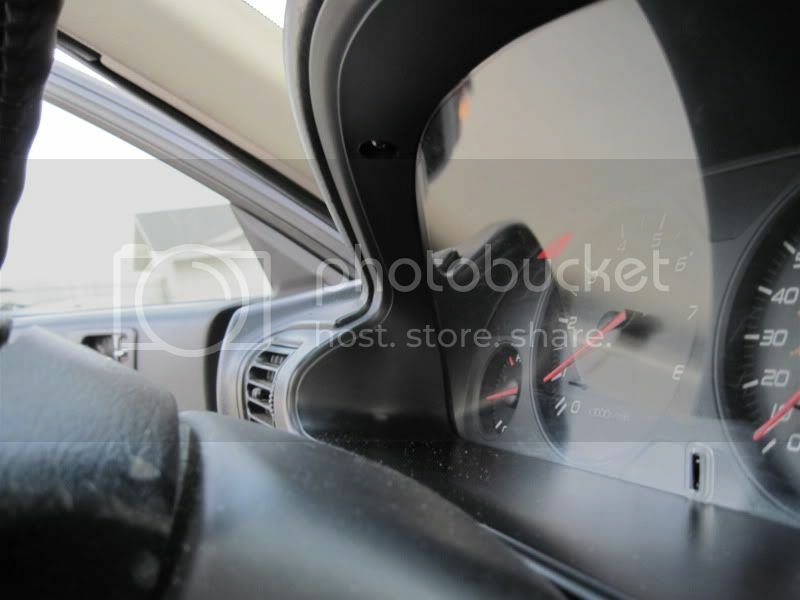 Yes you have to notch each side of the top on the cluster to clear the CB bezel top mounting pads. You’ll see what you need to do when you take it all apart to install the cluster. It seems scary at first but just grab a dremel and go at it. I taped up the notches after cutting and cleaning out the debris in the cluster from cutting also. I might be able to score some pigtails if you need em. There’s a couple bb6’s I can cut from at pap.